Victoria Road, Penrith, Cumbria, CA11 8HR. 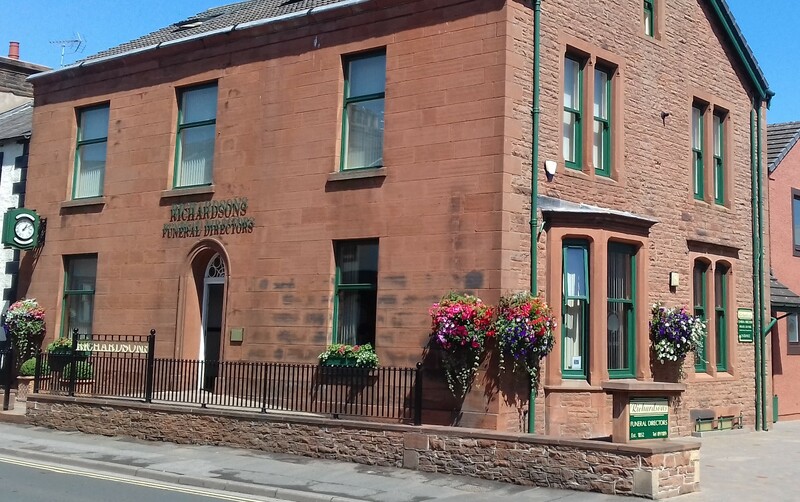 Richardson’s Funeral Directors are an independent family owned local business who have been carefully arranging funerals in Penrith and Cumbria for over 100 years and have records dating back to January 1895. Whilst we have a lot of history we feel we have the right balance on modern approaches blended with traditional values. We can help you create a personalised Service to commemorate the life of a loved One and fulfil the wishes of the family to every last detail. We pride ourselves that we aim to make a very difficult and upsetting process as easy as possible. Our spacious funeral home and chapels of rest in Penrith have private parking facilities. We offer a comprehensive range of funeral services in Penrith and Cumbria and we will be more than happy to discuss any matter with you. Please contact our funeral directors anytime to discuss your requirements.